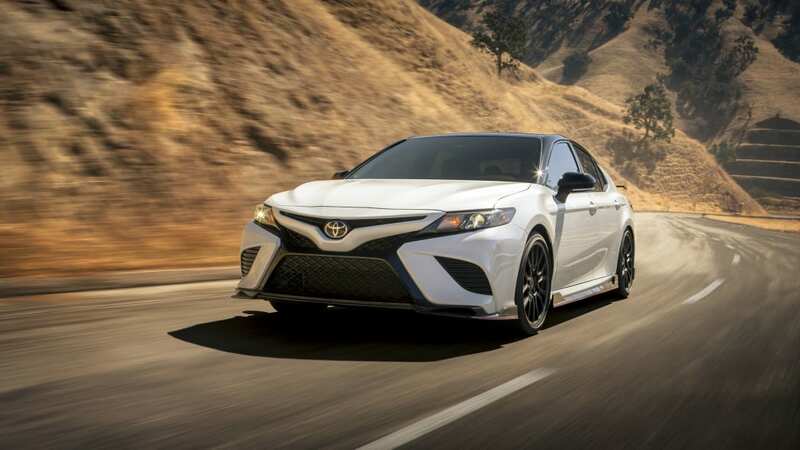 The Camry TRD is the Camry for driving enthusiasts. 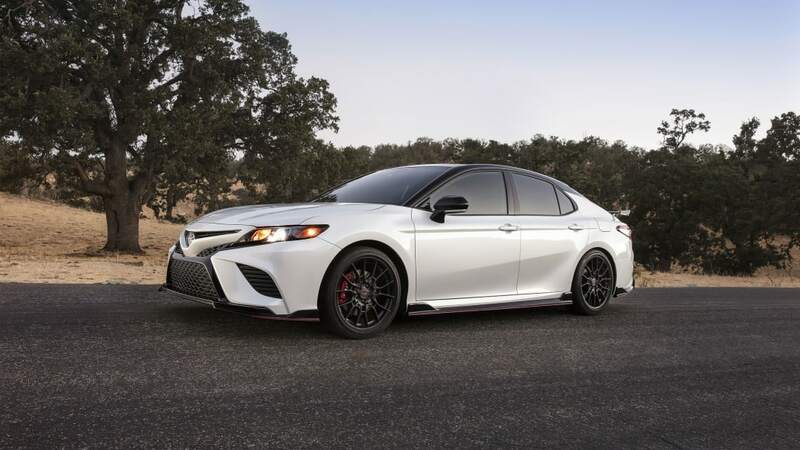 Toyota just released an enthusiast-focused "track-tuned" Camry TRD with a freaking wing on it. Yeah, we can't believe we just typed those words either. 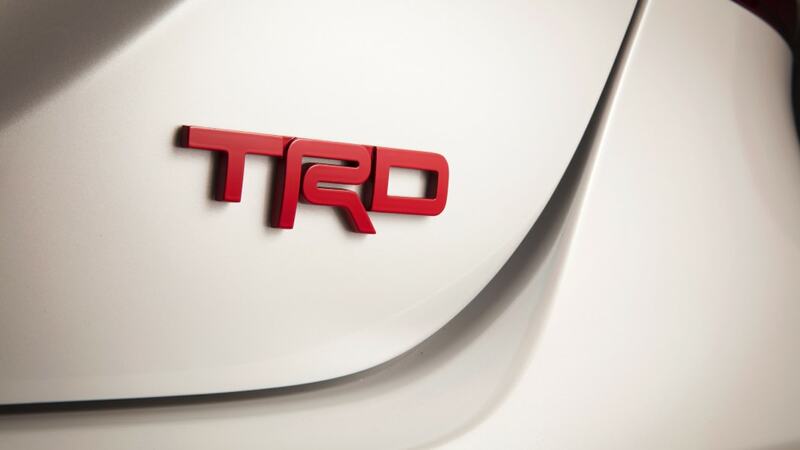 The Camry isn't the only humble Toyota to get the full-on TRD treatment today. 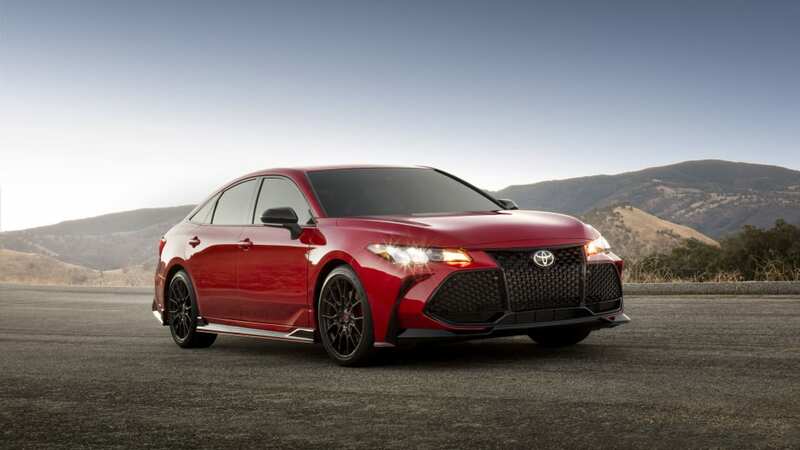 There's an Avalon TRD, too, with the same suite of track upgrades as the Camry. 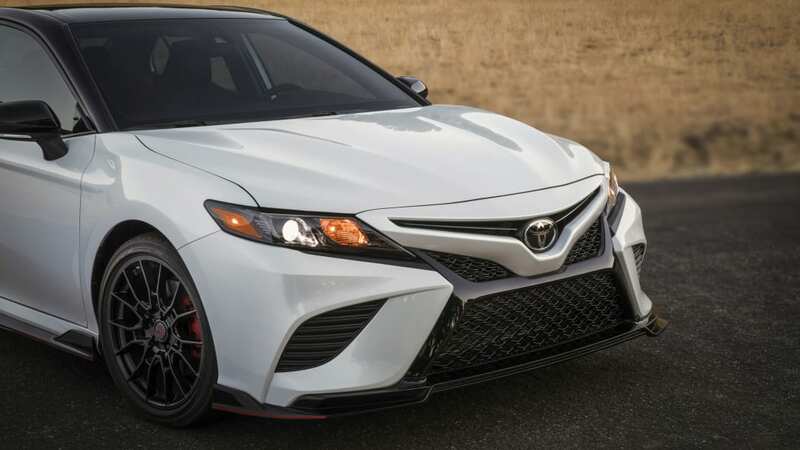 To begin, Toyota took the Camry XSE (the most engaging of current Camrys) and went nuts from there. 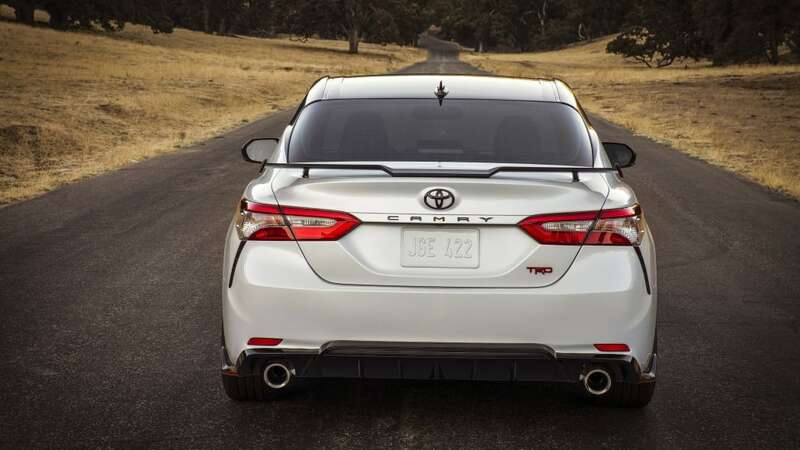 Much thicker underbody bracing increases the Camry's torsional rigidity. 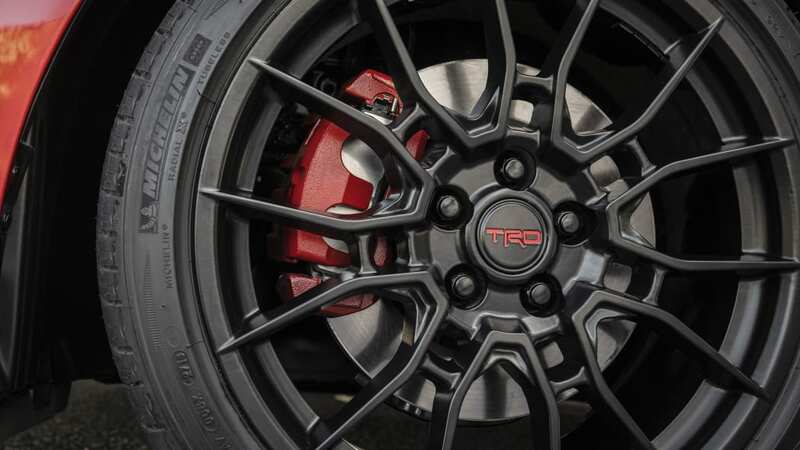 TRD specific shock absorbers are stiffer and paired with unique coil springs, the latter lowering both vehicles 0.6 inch. 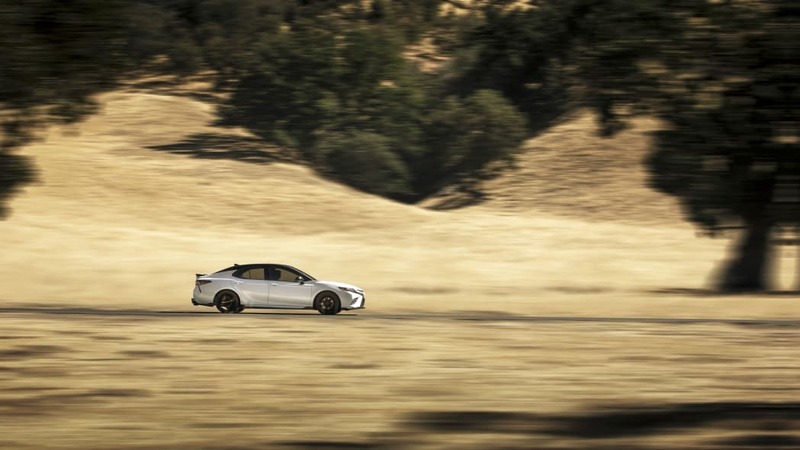 All this contributes to increased roll stiffness of 44 percent in front and 67 percent in the rear. 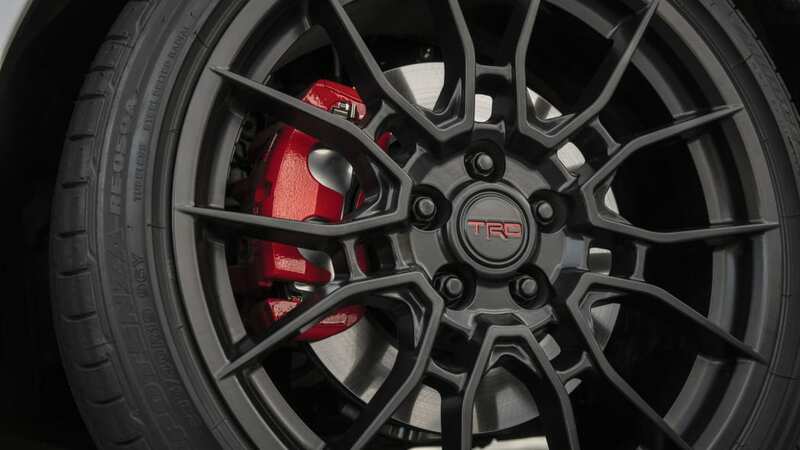 Larger front brake rotors (up 0.9 inch) and dual-piston calipers (compared to the single-piston clampers on the XSE) are fitted to provide more direct feedback on the road and track. 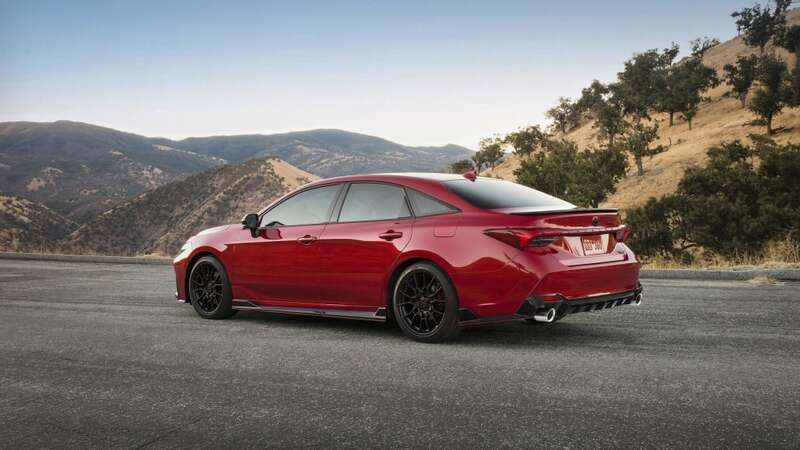 Bridgestone Potenza summer tires size 235/40/19 wrap matte black 19-inch wheels — the wheels are three pounds lighter at each corner compared to the XSE wheels. The cars are loud, too. 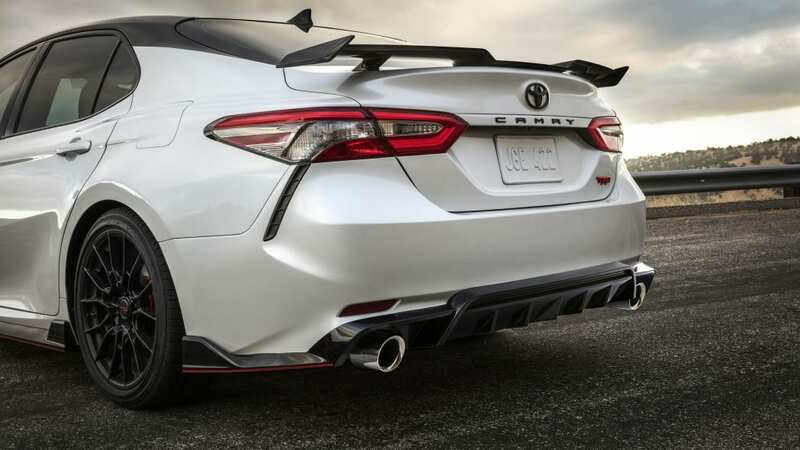 Both the Camry and Avalon have TRD catback exhaust systems, so you can hear the 3.5-liter V6 growl. Speaking of the powertrain, it's carryover from the XSE trim levels of both cars. This means the 301 horsepower V6 and eight-speed auto will be working to turn the front wheels. 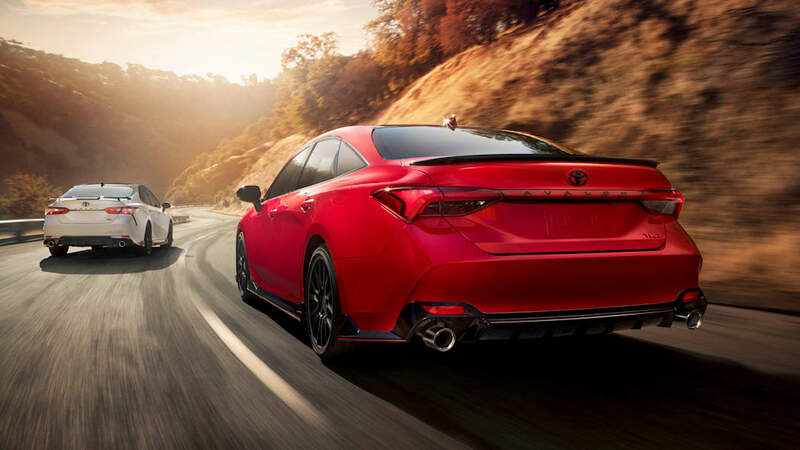 It's not slow, but we wouldn't call the Camry fast either. 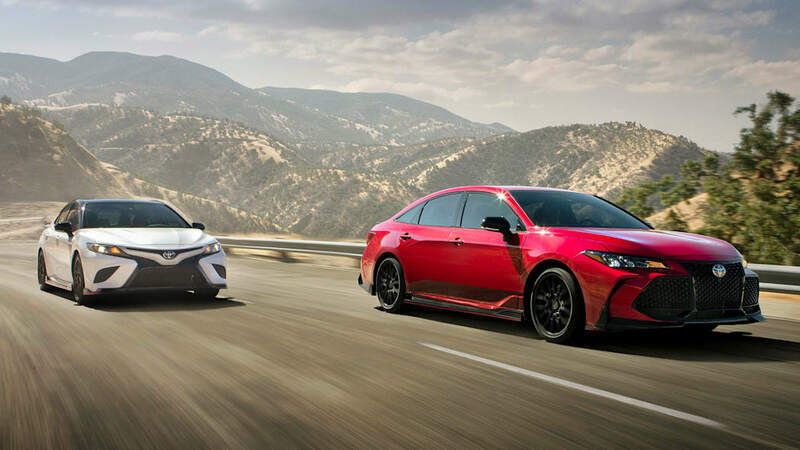 Here are the Camry and Avalon TRD versions. 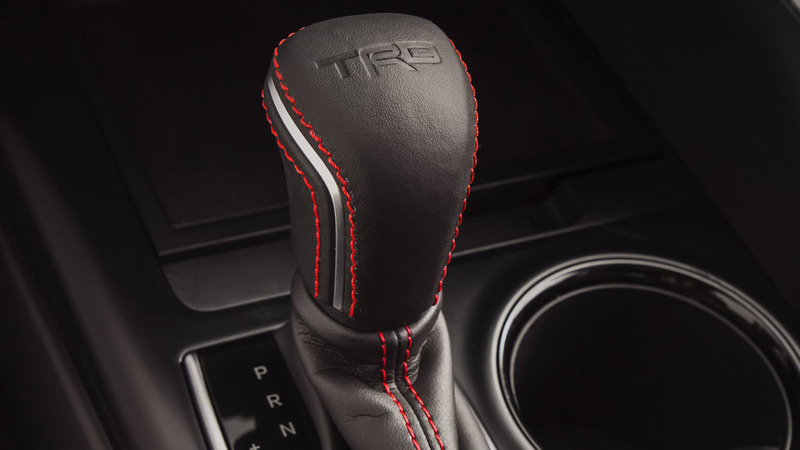 The Avalon TRD features many of the same modifications as the Camry TRD. Just look at the two. 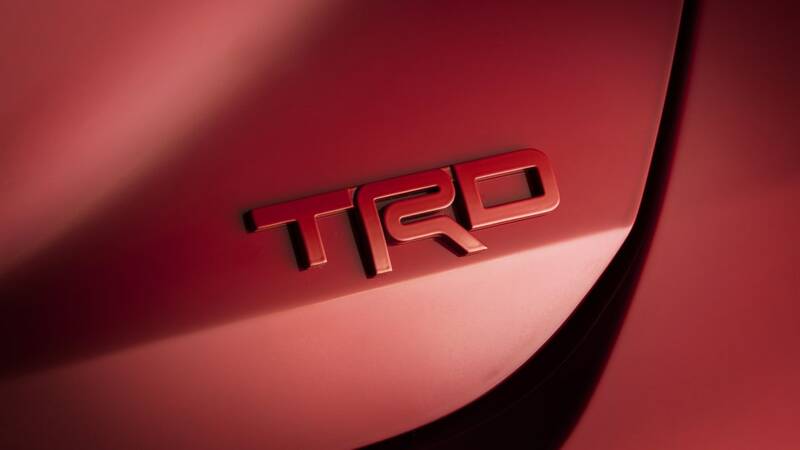 Toyota went all in on TRD. 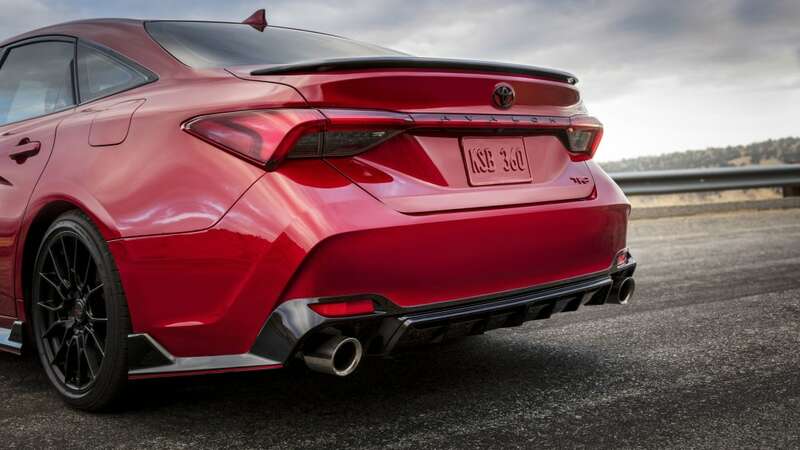 The two-tone paint scheme, black and red body kit, rear diffuser, large red calipers, a weird two-tiered wing on the Camry ... who took the keys to boring, old Toyota? Interior choices were a bit more subdued compared to the raucous looking exterior, but we still wouldn't call it subtle. 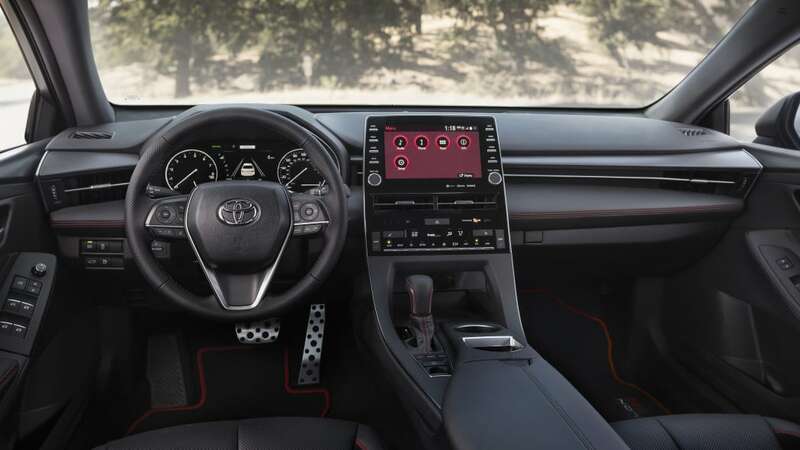 Black seats are accented by red lines and shapes everywhere like TRD emblazoned headrests and a TRD embossed gear shift. 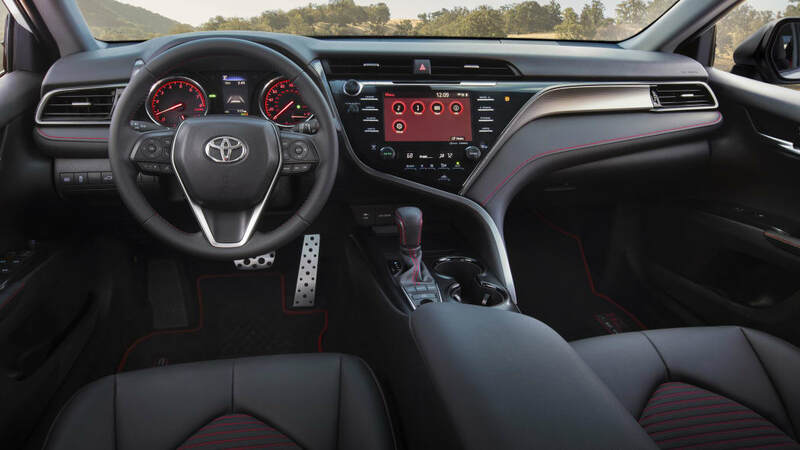 The leather wrapped steering wheel has red stitching, along with the dash and TRD floor mats. And for the pièce de résistance, bright red seat belts let you know you aren't in your grandmother's Toyota. 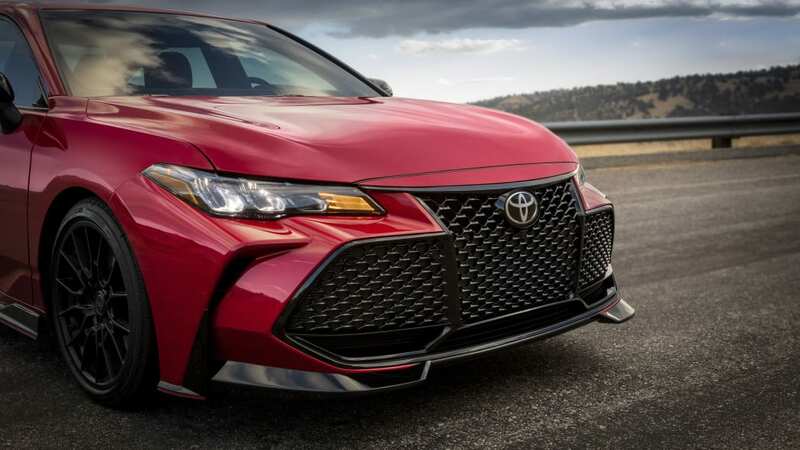 The automaker says the Avalon uses the same interior design scheme as its slightly smaller sibling. 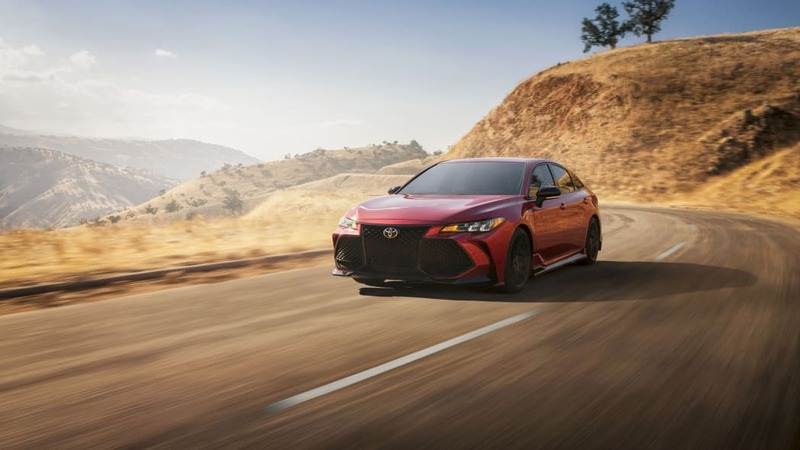 No pricing is out for these new Toyotas, but both will be sold as 2020 model year vehicles and go on sale in fall 2019. 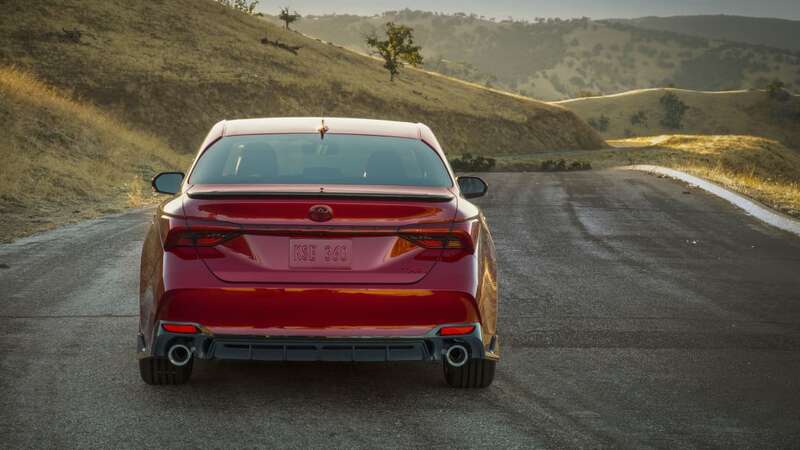 We're totally in favor of more performance-oriented cars, and the new Camry actually drives like a worthwhile vehicle to modify like this. 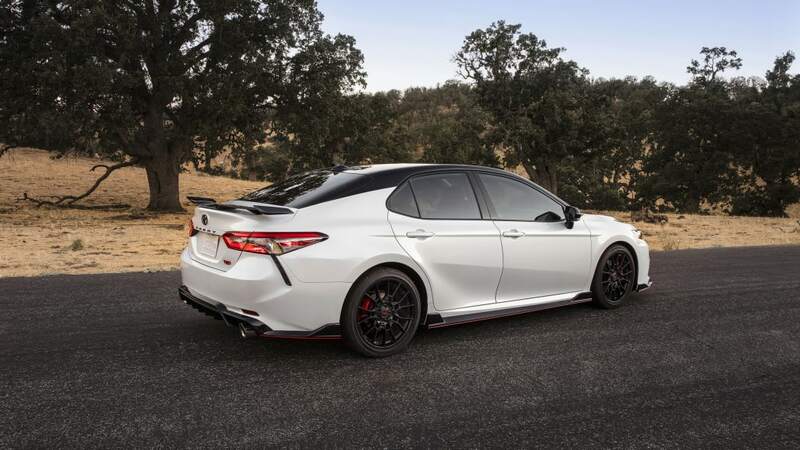 There would be no opposition to Toyota doing the same thing with the smaller and lighter Corolla too.